Thinking about buying a pet rabbit? Want to learn how to raise a healthy and happy bunny? Written specifically for the pet rabbit owner, this book is your 1st step towards caring for and understanding your bunny. 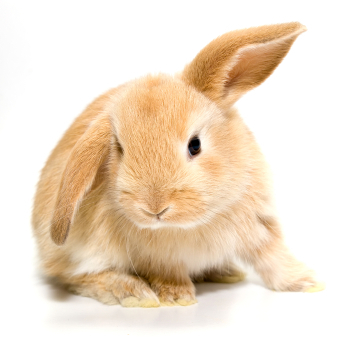 Make sure you can handle the responsibilities that come with pet rabbit care! Full of facts that every bunny parent should know, if your rabbit could talk they would ask you to read this book. The Everything Pet Rabbit Handbook covers all your rabbit-knowledge needs in an easy to understand format with color photos and helpful information that you can put to use immediately! Information is presented for both USA and the UK. Is a rabbit a good pet for me? What equipment do I need for a pet rabbit? What should I feed a bunny to keep them healthy and ensure a long life? What should I look for in a rabbit? What breeds make good pets? Where can I buy/ adopt a rabbit? 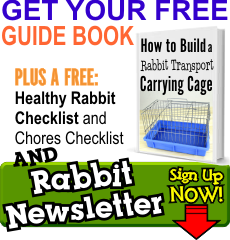 What should I do to check the health and wellness of a rabbit before bringing them home? How do I bunny-proof my house? How should I handle my rabbit? How do I introduce my new bunny to my family and kids? What signs of illness should I look out for? How do I perform my own rabbit health-checks? What should I do if my rabbit bites? How do you litter box train a rabbit? And so much more! 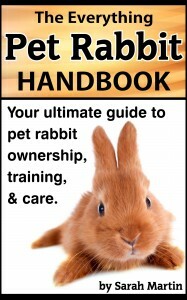 If you want to truly enjoy owning and interacting with your rabbit this is a must-read book. Also included is a recommended rabbit breed list (with descriptions), how to get involved in clubs and other rabbit-related groups, and TONS of useful tips and tricks that will ensure you have a happy and successful relationship with your rabbit. Don’t put off expanding your bunny-knowledge, get this book and take the first step today!